Almost families who hope to live with Akita dog discuss about choice the male or female and color with pleasure when they buy a puppy of Akita dog. So we'd like to mention about Akita dog's color in this time. 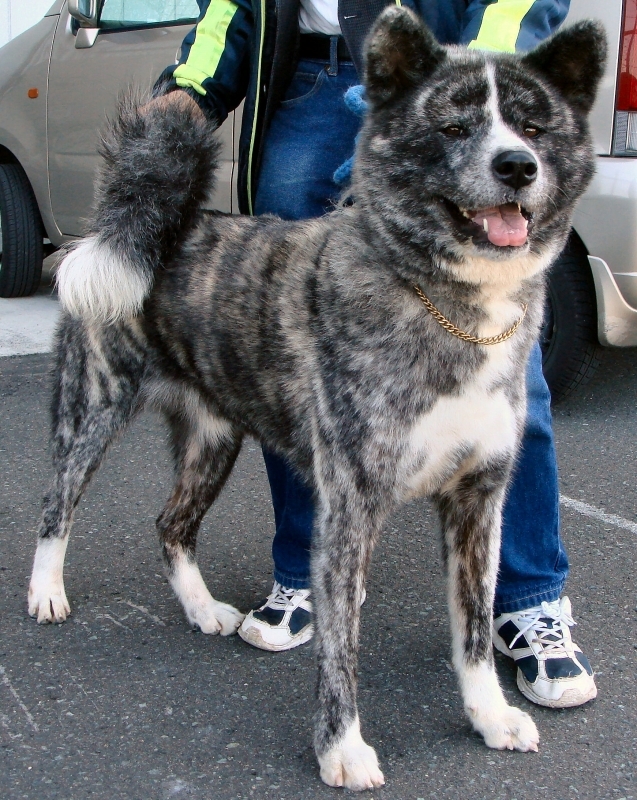 The standard color of Akita dogs are red, Japanese say "tora" (mixed black and white with stripe) and white. The red is just loyal dog Hachiko's color. He had thin red color. On the contrary, We say "Yakeaka" to the deep red. The best red color is middle red color, not too thin and not too deep. If it is too thin, it gives the impression as thin presence. And if it is too deep, it gives the impression as long-winded. There are customers who hope to buy Akita dog from us that are "I buy red Akita definitely", "I feel red Akita is safe" and "If I had to choose one, I like red". Of course, Akita dog's personality and physique isn't different by the color. Akita dog of red dolor is the highest the awareness in Japan. It is often that some one come closer while saying "It is Akita dog isn't it?" or "You have good Akita dog" when an owner takes a walk with an Akita dog of red dolor. It means that many people notice at a glance as an Akita dog against the red one. If there is no resistance such the communication with strangers, it might be good that you will live with Akita dog of red dolor who is representative of Akita dogs. On the other hand, it seems the people who like "Tora" chose "Tora" with strong will more than red. In fact Tora is lower than red as awareness. So almost people say to Akita dog's owner during walk, "Is it Tora? ", not "It is Tora isn't it?". And some even people ask the question to Akita dog's owner, "What's kind of the dog?" in Japan. We'd like to propose you an example about Akita dog's color. An Akita dog of red color with an owner appeared at waiting space of the local air port to depart from Japan. Some people came closer to the Akita dog, stroking the head, taking pictures and talking to the owner. On another occasion, An Akita dog of Tora with an owner appeared at waiting space of the local air port to depart from Japan. It was only a few people who was express an interested in the Tora beyond comparison red Akita dog. In other words, many people can't understand it is Akita dog when they see Tora. Tora's color is rugged than red Akita. So Tora's color gives scary impression and gives above being familiar be hard to approach. Therefore Tora is the perfect to the owner who think,"Akita dog is just Tora even if people like or not". And many people don't notice it is Akita dog or not about white Akita dog as same as Tora. If you can't decide that you will buy a white Akita dog or not, we will ask you the question,"Do you feel tiresome to shampoo a dog ?". If you feel tiresome it or little tiresome, we will not propose you will buy a white Akita dog. You will have to pay attention to white Akita dog's needs include hair care to keep the white hair after walking. If you will cut corners to shampoo white Akita dog, the "white shine" will be lost in lifetime. And May be you will not love the white Akita dog the reason why not clean. So we will not propose you a white Akita dog unless you are very fond of cleanliness. 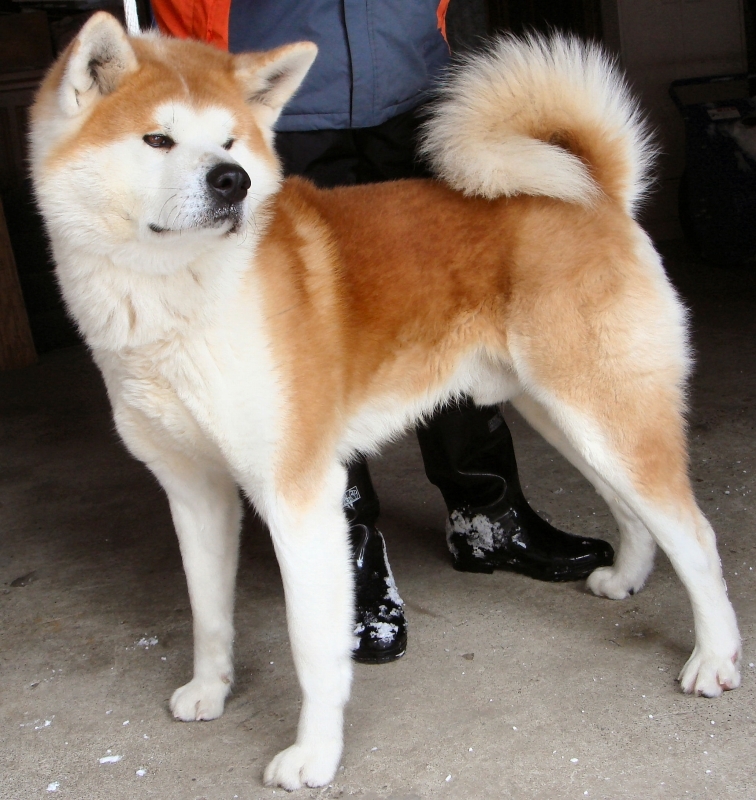 We hope you will chose Akita dog by reference to our advice. It is the Akita dog of red color. It is the Akita dog that we Japanese say "Tora". 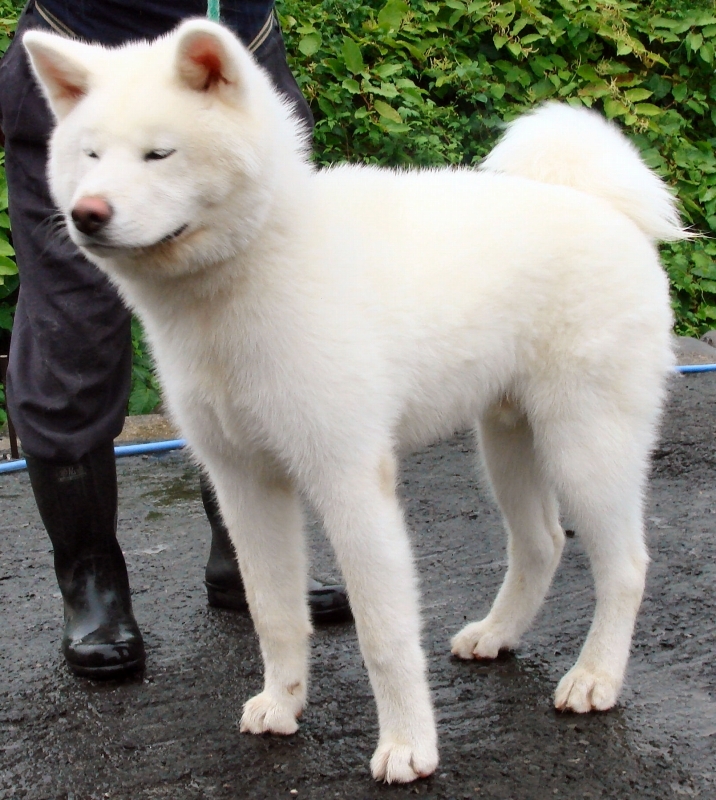 It is the Akita dog of white color.